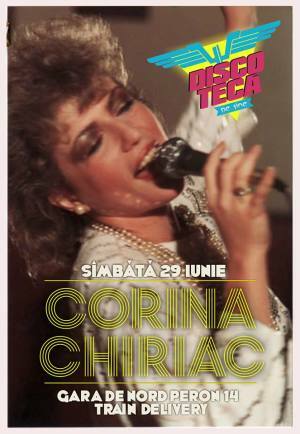 Dicoteca brings Corina Chiriac, a pop diva of the 80s, live in concert, starting 21.00. Enjoy music from the 70-80s, rom-pop delivered by Discoteca, part of the Train Delivery event. "DISCOTECĂ #Corina Chiriac" Concert in Bucharest. You can get here description, reviews, address, time and details of "DISCOTECĂ #Corina Chiriac" Concert in Bucharest. Visit Bucharest Tips for more Concert events in Bucharest!